Went to the pond again today. Caught three small bass and a sunny. Getting ready to go home but decided to make a few more casts with the crawdad, my leading producer. Something hit it and everything stopped. Whatever was on the other end would not budge. I pulled and yanked and still nothing but a very tight line. I walked up and down the pond trying a different angle but still nothing will budge. I thought maybe I had the large turtle I had seen earlier in the pond. I continued to try and get that to move but nothing. Finally, a little movement as it tried to run and my drag was screaming. It tired a second time to run and then locked up again. Finally I see my line coming toward the bank and I was able to bring this guy out. 18 1/2 inches of a bass that did not want to give up. Not sure if he was hung up on something or what. 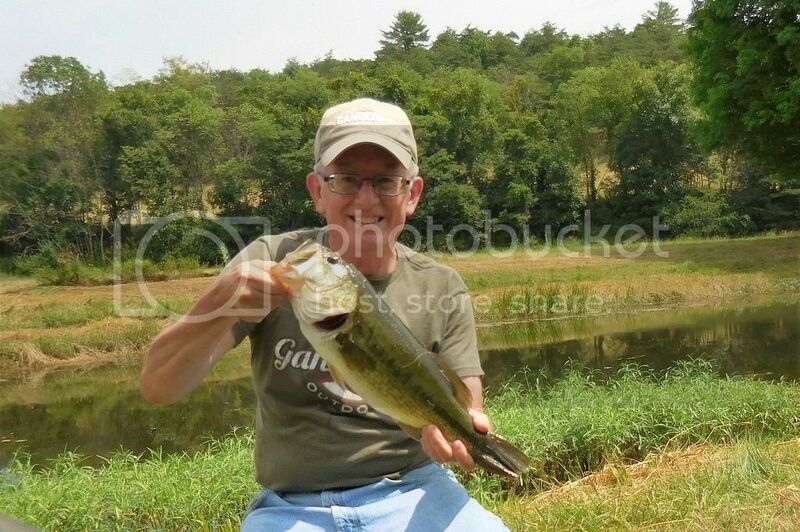 Could not believe what I was able to bring out and the landowner says there are larger bass than that in the pond! Nice one there nothing better than catching a big old large mouth. 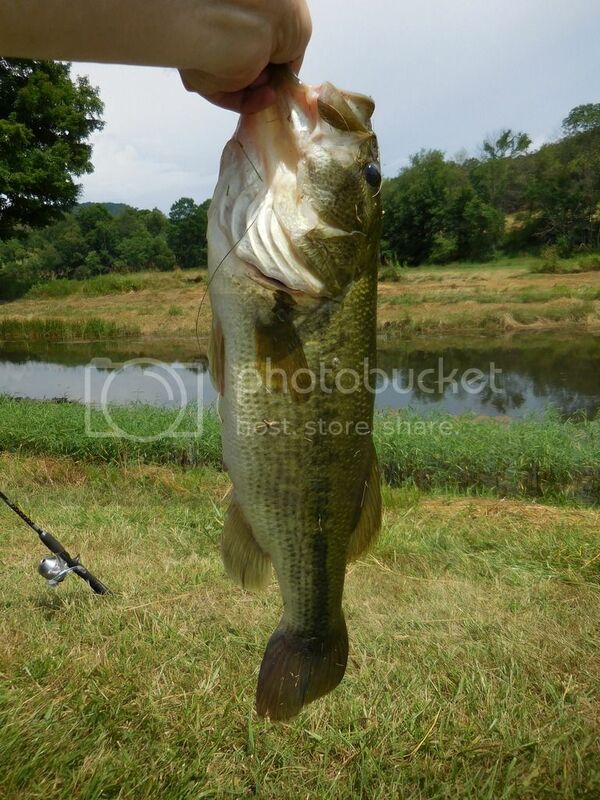 Nice bass...you've got yourself a honey hole for sure! I've always enjoyed fishing for all species of bass. It's additive, fish on! Nice one, but don't give up on the slippery rocks on the river bottoms, the trout will miss you (NOT). Bass fishing is the cats meow when the streams are low and running out of water in the late summer. Glad to see you are getting out and feeling better. Nice Bass and a great day!! !